British holidaymakers are being warned: you won't be allowed into the US unless you have a biometric passport. The advice comes a month after new rules governing entry into the country were introduced. Authorities estimate that upwards of three million UK travellers could be affected by the rule change. The people at risk are believed to be ones with UK passports issued from April-October 10 years ago. This was before the new maroon biometric passports came into being. Six million electronic chip-embedded "e-passports" are dished out every year. The new requirement comes under the provisions of the Visa Waiver Programme Improvement and Terrorist Travel Prevention Act 2015. It applies to British visitors and those from 37 other countries included in the Visa Waiver Programme's (VWP) list of qualifying nations. The initiative ensures that qualifying visitors to the US can stay there for no more than a 90-day period. 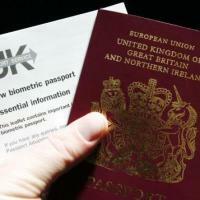 US Customs and Border Protection's (CBP) call for Britons to check their passports emphasises once again how important these travel documents are to tourists. It can cause travellers dear if they forget to take them to the airport. But taking out trusted travel insurance can help since it provides cover for lost travel documents, such as passports. It claims the new rule alteration should not come as a great surprise to most people - providing they have kept their old email addresses. A spokeswoman says that it posted emails to visa applicants with out-of-date passports advising them of the switch. It also put details of the new law on its website. She says that the agency wants British holidaymakers and business travellers to check out their passports to ensure they are not at risk of being turned back. What if travellers have not got an e-passport? It's not the end of the world - as long as people follow the CBP advice. US-bound UK travellers need to get non-immigrant visas instead. The Home Office's website says applicants can get one from nearby US consulates or embassies.